DP-1501 Units: 144/pkg. Assortment of red, yellow, blue and green balloon picks. Balloon measures 1 5/8". 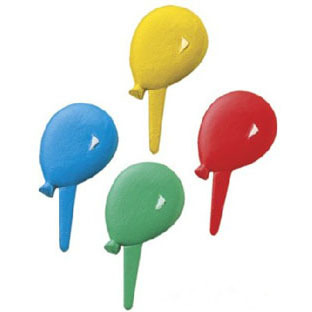 Assortment of red, yellow, blue and green balloon picks. Balloon measures 1 5/8".